I have visited Winchester several times. 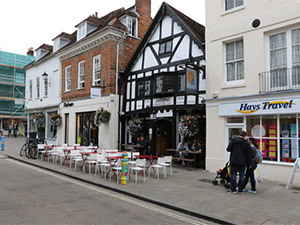 It is a beautiful and historic city with much to see for the history lover, including the grand and imposing Winchester Cathedral, where Mary I married Philip of Spain in 1554. However, I did not know that on 2 September 1685 a landed gentlewoman of the county was publicly executed in Winchester for harbouring fugitives after the defeat of the Monmouth Rebellion. Lady Alice Lisle was the last woman to be beheaded in England. The unlucky women that were executed by beheading in English history were mostly queens: Anne Boleyn, Katherine Howard, Lady Jane Grey and Mary Queen of Scots. Margaret, Countess of Salisbury, niece of Edward IV and Richard III, was beheaded at the age of sixty-seven. In 1685, Alice Lisle was of a similar age to the unfortunate countess. She is thought to have been born in or around 1617, and thus would have been about sixty-eight when she met her fate. In July 1685, shortly after the Battle of Monmouth, Lady Alice agreed to shelter the nonconformist minister John Hickes at her residence near Ringwood, in Hampshire. He was accompanied by Richard Nelthorpe, a lawyer and conspirator in the Rye House Plot under the sentence of outlawry. Like Alice, Nelthorpe was executed. In August 1685, the Bloody Assizes commenced at Winchester in the aftermath of the Battle of Sedgemoor. Five judges were appointed and were led by 'the hanging judge', Lord Chief Justice George Jeffreys, who gained notoriety for his harsh sentences. The court progressed from Hampshire to Dorset and Somerset, and hundreds of executions took place. Above: George Jeffreys, 'the hanging judge'. Lady Alice pleaded that she had no knowledge of the seriousness of Hickes' offence, and confirmed that she had known nothing of Nelthorpe. It has been suggested that the harshness of the prosecution case derived in part from Alice's status as the widow of John Lisle, one of the regicides of Charles I. Perhaps, then, Alice's demise could be read as a process of revenge for the events of the mid seventeenth-century. She was convicted and sentenced to be burned at the stake, although the sentence was later commuted to beheading. On 2 September 1685, Lady Alice walked out of the Eclipse Inn, where she had spent her final hours, and was executed in the market place, and was recorded as having met her fate with dignity and courage. She was buried at Ellingham, Hampshire. For harbouring fugitives, Lady Alice was convicted and executed as a traitor, but she has been viewed as a victim of judicial murder; the contemporary historian and philosopher Gilbert Burnet referred to her as a martyr. Today is International Women's Day. My research to date has primarily focused on late medieval and early modern women, specifically queenship. Earlier this year, MadeGlobal published my book Queenship in England 1308-1485, the culmination of years of research and what I would like to refer to as historical discovery. In honour of International Women's Day, therefore, I would like to think about some of the women that inspired my research. My first introduction to the indomitable Isabella of France, wife of Edward II, was not an especially positive one, for it was based on a book that was both inaccurate and misleading. By immersing myself in the extant primary sources and by reading a fascinating array of secondary material, I gained a fuller and more nuanced picture of this intriguing queen. In Queenship in England, I focused on the multivalent roles that comprised the office of queenship. Isabella was highly active in her household governance, her lordship, her intercessionary activities and her patronage. Her relationship with Edward, moreover, appears to have been close and loving for the first fifteen years of their marriage. But political tensions and the ascendancy of the Despensers fractured their relationship beyond repair. Margaret of Anjou and Elizabeth Wydeville, like Isabella, have been similarly maligned or misrepresented, but the last few decades have witnessed several publications that have aimed to rehabilitate their reputations. My research indicated that Margaret was more politically astute and pragmatic than is usually suggested, and she sought to maintain a cordial relationship with the duke of York from early on in her queenship. In the aftermath of the Wars of the Roses, it was convenient for commentators to assign blame to Margaret for the conflict, but in assuming the role of leader, she was ardently fighting to protect the inheritance of her son and the honour of her beleaguered husband. Elizabeth's personality and appearance have both been attacked by modern historians, who have condemned her as a cold, grasping and avaricious woman. Much of this results from a misunderstanding of court protocol. In her lifetime, Elizabeth was praised for her "womanly" conduct and, indeed, she appears to have actively distanced herself from the militant queenship of her predecessor. She was, in most respects, the ideal medieval consort, and demonstrated her suitability to be queen by bearing Edward IV several children, thus testifying to divine approval of their union. 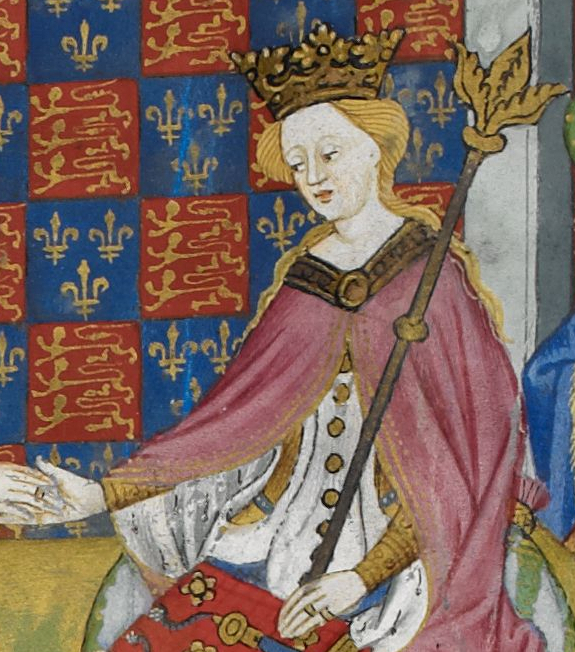 The events following Edward's death and the accession of Richard III, coupled with her questionable relationship with Henry VII, have perhaps obscured the fact that Elizabeth was one of the most successful medieval queens of England. These three women are perhaps three of the most well-known of England's medieval queens, and they are certainly not the only ones who fascinated and inspired me during my research and writing. However, I was especially drawn to their experiences and stories, in demonstrating the rich opportunities for the consort to wield agency and, in some instances, power. Investigating the relationship between gender and power as it operated in the political sphere is an exciting exercise and one that continues to resonate, and be relevant to, today.